Ángeles García-Cazorla, MD, PhD, neuropaediatrician, is the coordinator of the Hereditary Metabolic Disease Unit at Sant Joan de Deu Hospital (SJD) in Barcelona, Spain, which is especially focused in disorders that affect the brain. 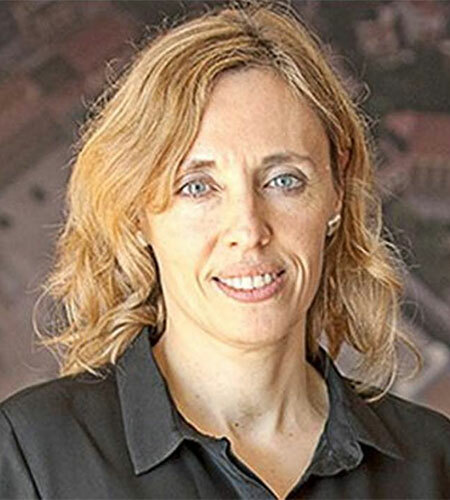 She is the founder of the “Synaptic Metabolism Laboratory” also in SJD, and Associate Professor of Paediatrics at the University of Barcelona, Spain. Hospital Sant Joan de Déu, Esplugues. Barcelona, Spain. Dr García-Cazorla received her M.D. from the University of Barcelona Medical School and obtained a Pediatrics degree and a PhD (European Doctorate) in medicine at the “Universitat Autonoma de Barcelona”. She did her predoctoral training in inborn errors of metabolism at Hôpital Necker (Paris), and a post-doctoral research fellowship in the department of Neurology at Columbia University (New York). She is currently the coordinator of the Inborn Errors of Metabolism Unit at Hospital Sant Joan de Deu in Barcelona. This unit is a national reference centre for all kind of hereditary metabolic disorders but is especially focused in the study and treatment of those diseases affecting the brain. This unit belongs to the Spanish Research Network in rare diseases: CIBERER. Dr Garcia-Cazorla develops translational research in the field of inborn errors of neurotransmitters and mechanisms of synaptic communication in neurometabolic and rare neurogenetic diseases. Her group has introduced and is currently promoting the concept of “Synaptic Metabolism” which tries to connect metabolic pathways and classical cell neurobiology in these diseases. This approach is especially addressed to the development of new treatments. She is currently involved as co-investigator in several international networks, suh as the one for the study of neurotransmitters I-NTD (http://www.intd-online.org) and has founded the project “Connecting The Growing Brain” (http://www.connectingthegrowingbrain.com). She is a member of the scientific committee of the “Recordati Rare Diseases Foundation”. Over the years she has contributed to paediatric neurology and neurometabolism with more than 140 international peer reviewed clinical and scientific papers, book chapters and reviews.